More and more recently, I’ve been hearing about young ones taking away their own lives. I personally have not experienced this with anyone too close to me, but it is still such a shaking event that resonates with me. 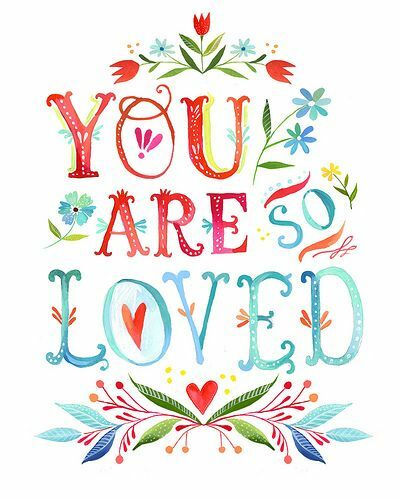 While I know this is a controversial issue, and there are many factors playing into suicide, I want to encourage anyone reading this to tell whoever, whenever, that they are loved. The scary thing is, sometimes you never know when someone is hurting inside. People come with their own amount of inner demons, but may cover it up with a goofy personality, or a smile on their face. Our lives are so fragile, and the pressures of society can fracture our ability to see that there is a light at the end of the tunnel. Sometimes you may feel like you’ve hit rock bottom, but that means you’re only going up from there. I’m not an expert on psychology and mental health, but I felt the need to express my feelings towards the issue. All I want for you to do is to just express your love, appreciation, and gratitude towards your friends, family, and all your loved ones. Even to compliment an acquaintance, coworker…anyone! We all walk around with the same general fears and anxieties, and sometimes put up a front to keep others from seeing our vulnerabilities. If we can all accept that we are after the same thing in the grand scheme of things, then maybe we can help those who are in a dark place by simply telling them that they are loved and worth it. This entry was posted in Uncategorized and tagged happiness, life, lifestyle, loved, selflove, staystrong, suicideawareness, youareloved, youbelonghere. Bookmark the permalink.